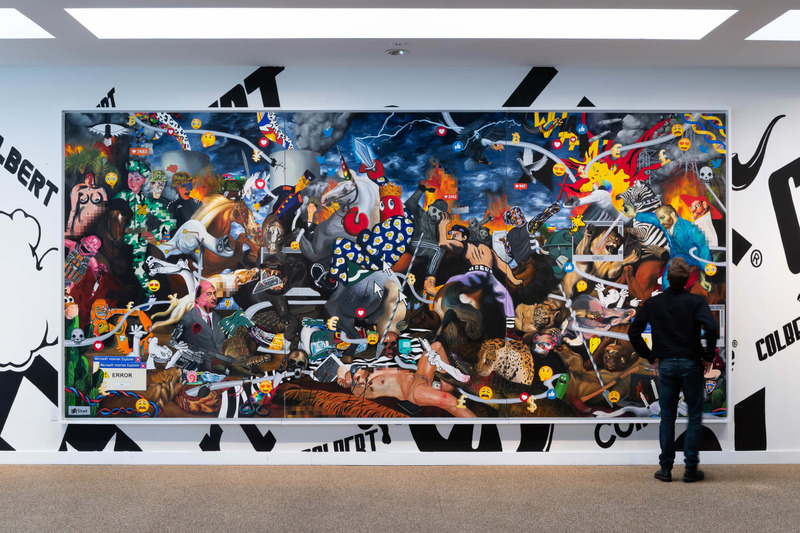 British Pop artist Philip Colbert brought his monumental Hunt Painting's series to LA for Frieze. 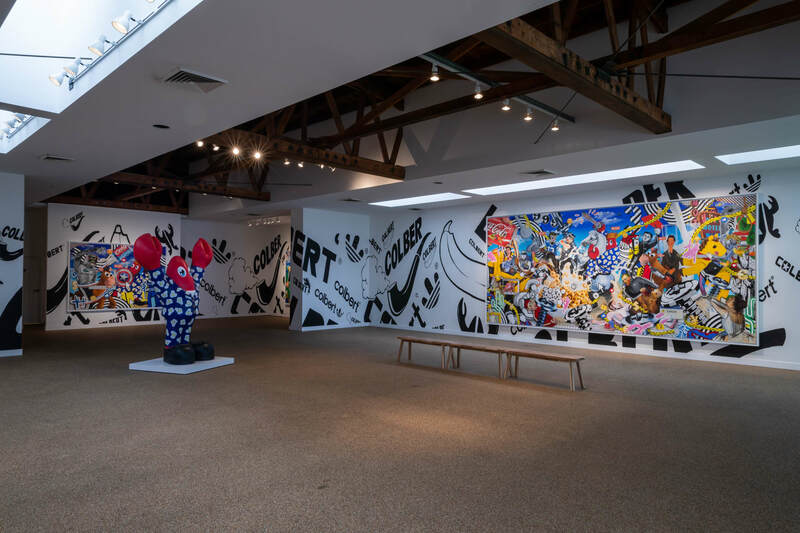 Colbert’s epic paintings and monumental sculptures were on display in Frieze LA allowing visitors to immerse themselves in Colbert’s humorous, colourful and flamboyant creations. 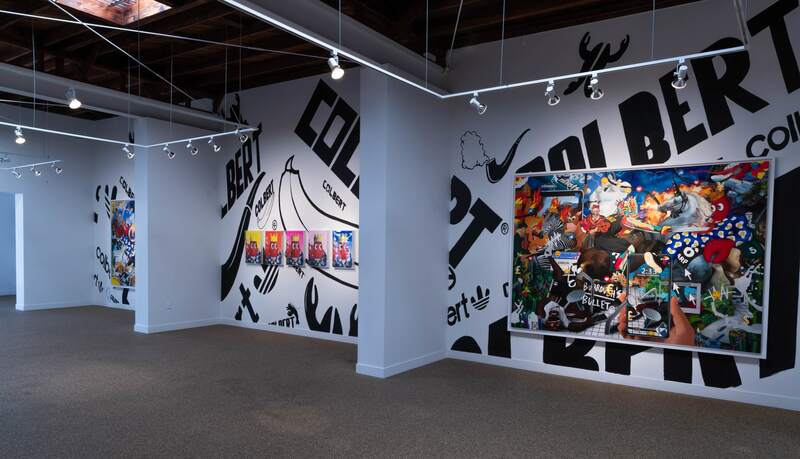 Described as "the Godson of Andy Warhol" by Andre Leon Talley, Colbert continues the dialogue established by artists such as Richard Hamilton, James Rosenquist and Roy Lichtenstein. 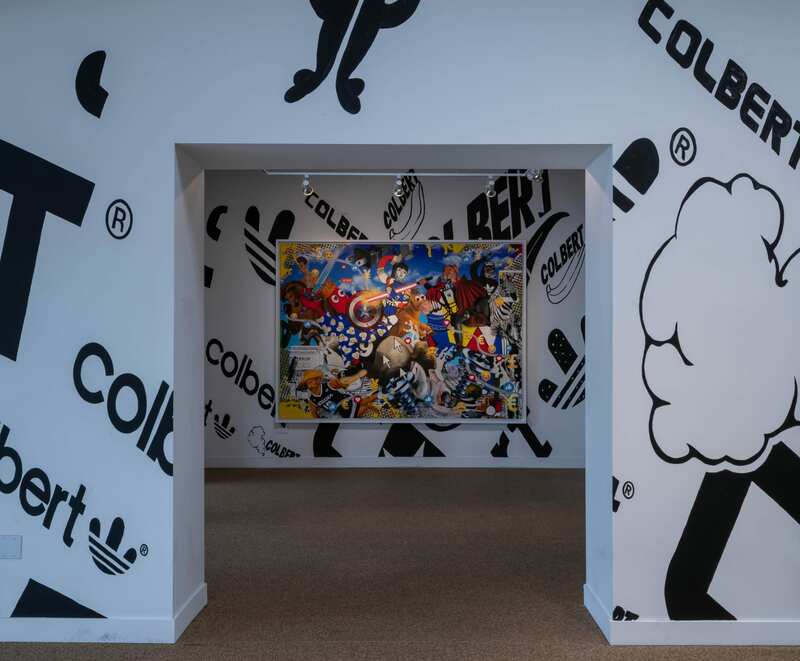 Living and working in London, Colbert’s multidisciplinary approach is entwined deeply with pop theory and incorporates painting, sculpture, clothing, furniture & design. 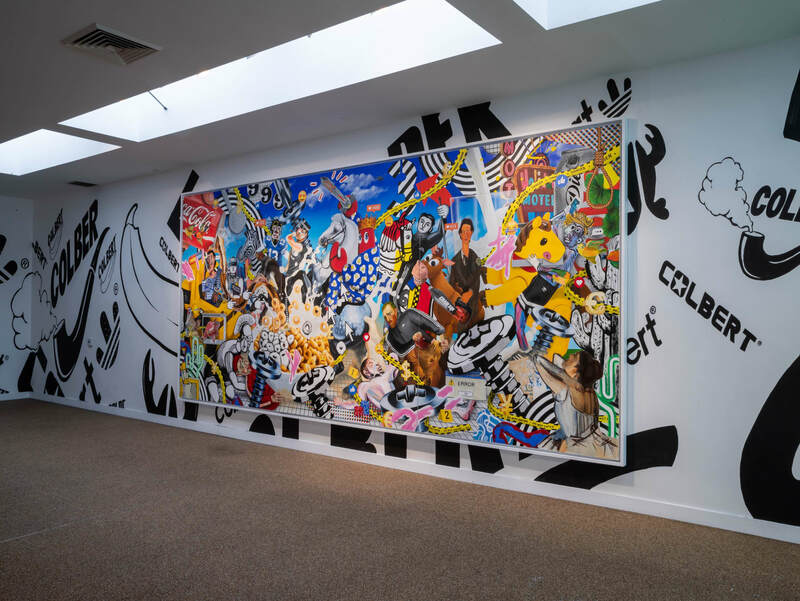 The artist’s subject matter is similarly broad, bringing together old master influences from the likes of Reubens and Van Dyck juxtaposed with contemporary consumer imagery to comment on the scale and saturation of digital media in our twenty-first-century society. 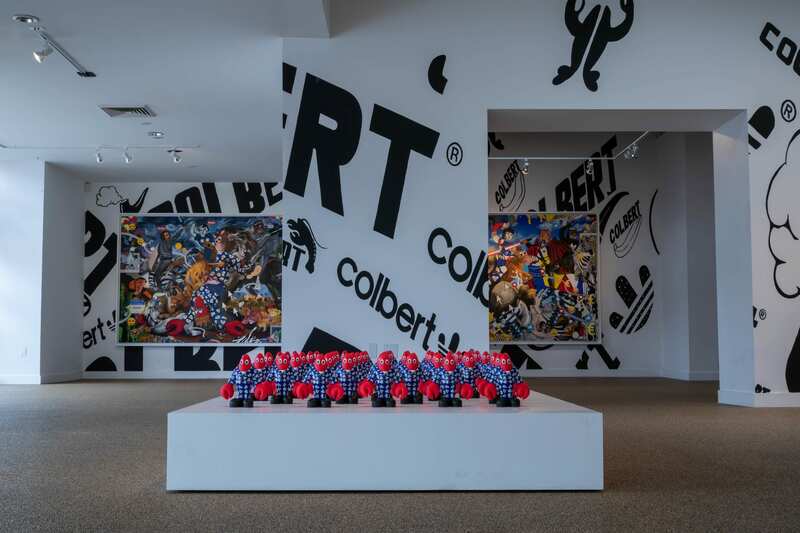 The large-scale vibrant canvases on show at the former Taschen Gallery in LA include the monumental Hunt Triptych and Lion Hunt which maintain Colbert’s wildly exuberant style. 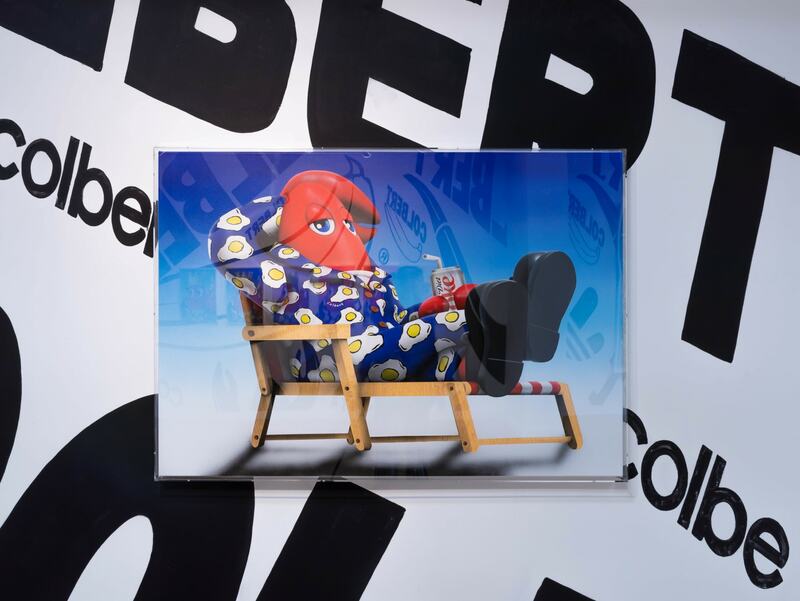 Inspired by the epic narratives and heroic compositions of the Old Masters, Colbert subverts these familiar structures by threading in a unique dialogue filled with references to our young digital society. 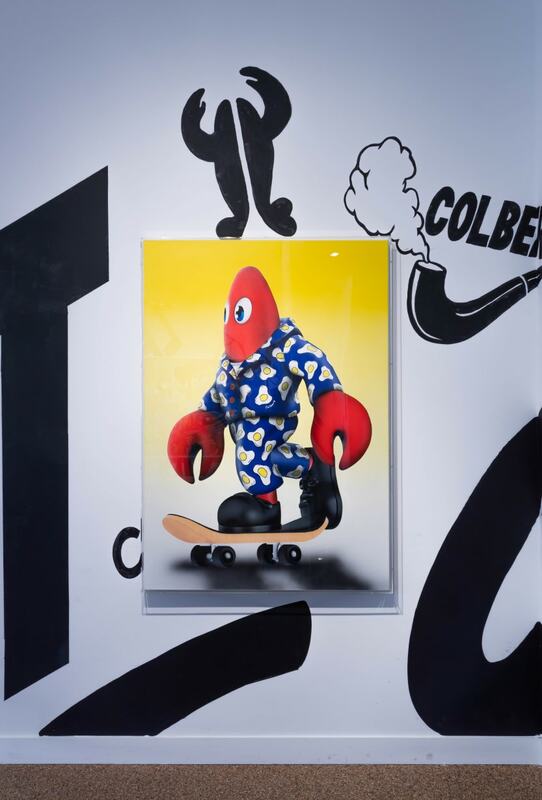 His grand compositions are saturated with modern everyday icons, symbols, and motifs and are frequently narrated by the distinctive personality of his comical lobster alter ego, he states, “I became an artist when I became a lobster”. 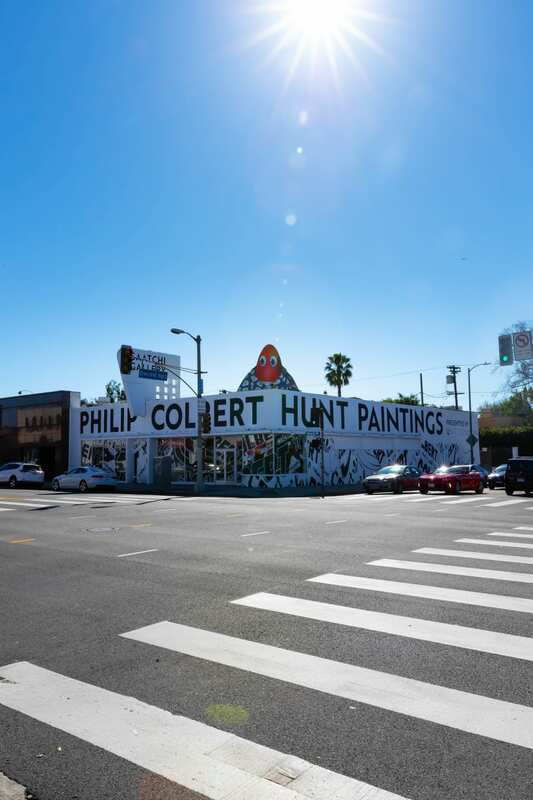 Philip Colbert’s star has risen at an incredible rate. 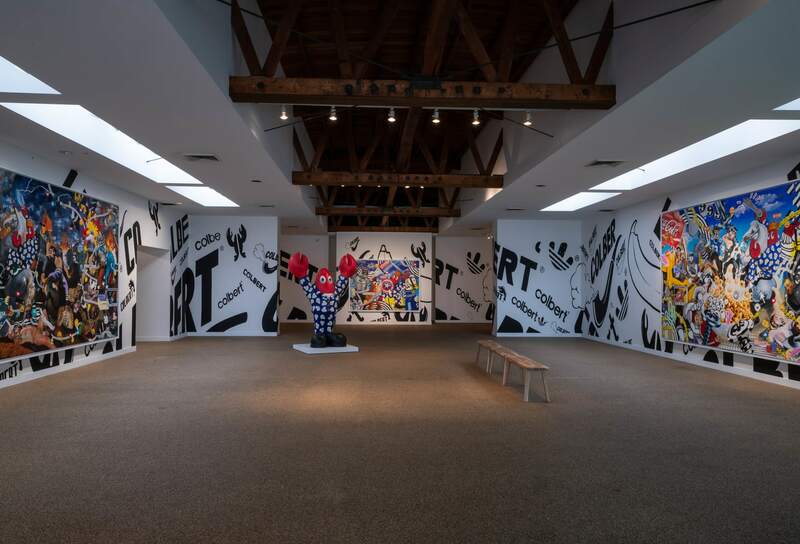 In a short period, he has created an international following and developed a powerful and prominent painting practice. 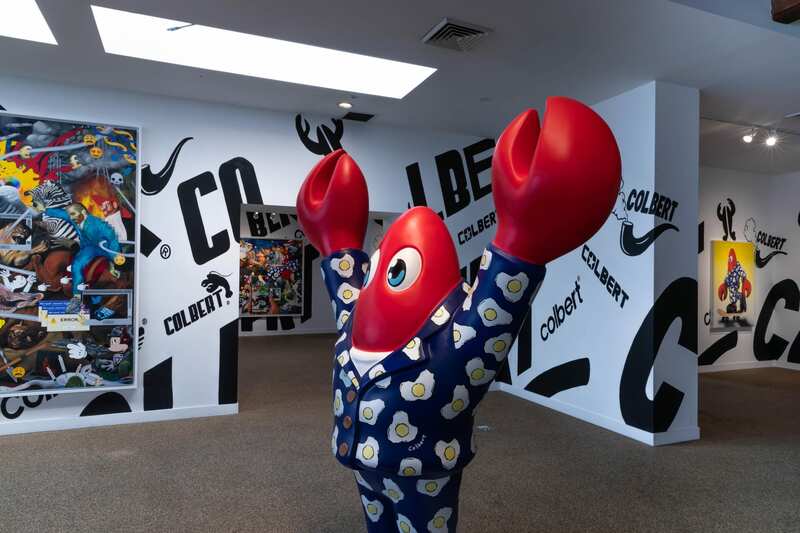 Full observation of Colbert’s paintings cannot be done with a quick scan. Every nook and crevice is crammed with so much detail that the eye cannot help but to linger, he states “My work is a reflection of the hyper saturation of our culture – iconic images from art history alongside iconic brand images which reflect our crazy ferocious appetite for image consumption.” Colbert’s oil paintings challenge and toy with the viewer’s cultural vocabulary - superimposing commonplace banal objects onto painted faces and merging portraiture with popular culture in a Magritte-like fashion. 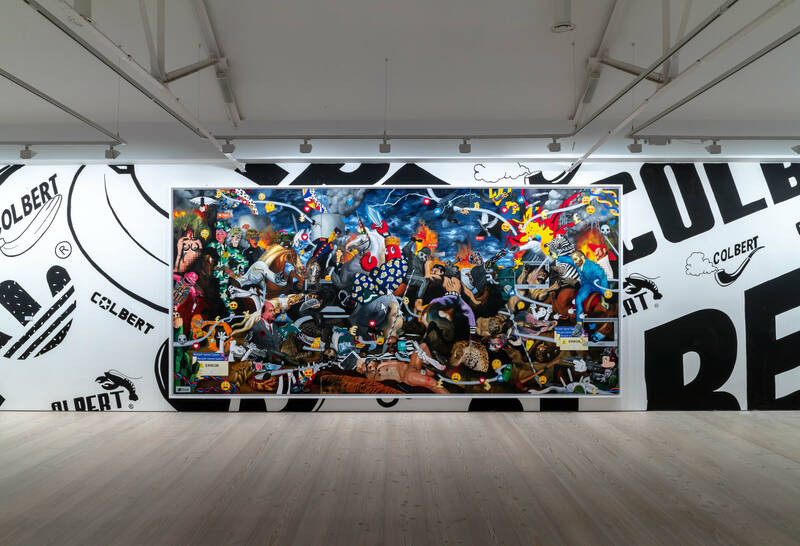 Hunt Paintings at Frieze LA came after Colbert's return to Saatchi Gallery in Decmeeber 2018 where his first painting exhibition showed two years prior. Leading up to Hunt Paintings at the Saatchi Colbert noted, “I am very excited to be holding my largest painting show to date. 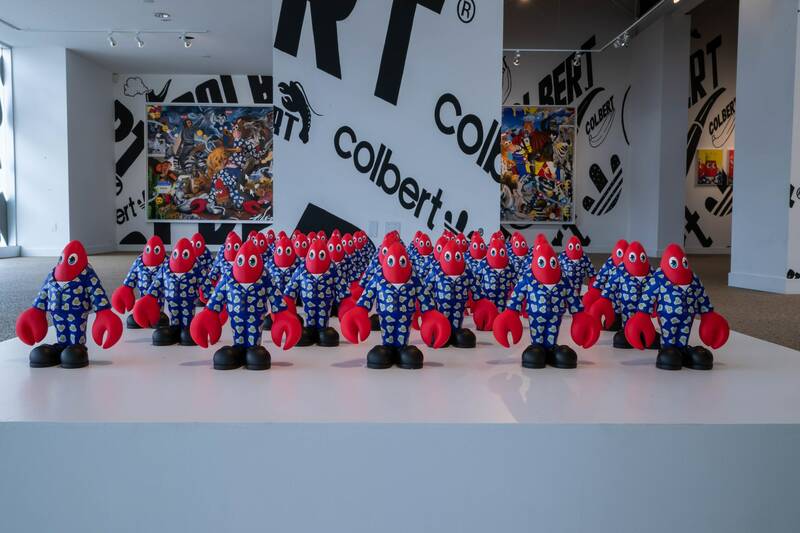 Saatchi is an amazing gallery and a brilliant platform for my new large-scale works.” Colbert’s intricate and complex works have garnered international acclaim and media coverage. 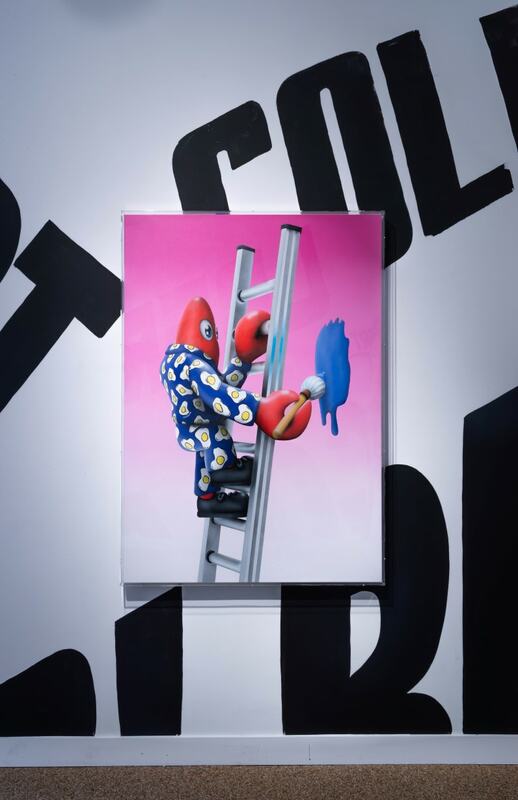 In August 2018 he participated in Unit London’s iconic Looking For U group show, and has since held exhibitions at The Powerlong Museum in Shanghai, China and MOCA (Museum of Contemporary Art) in Chengdu, China, Galerie Nichido in Tokyo, Japan and the Kasama Nichido Museum of Art in Kasama, Japan. 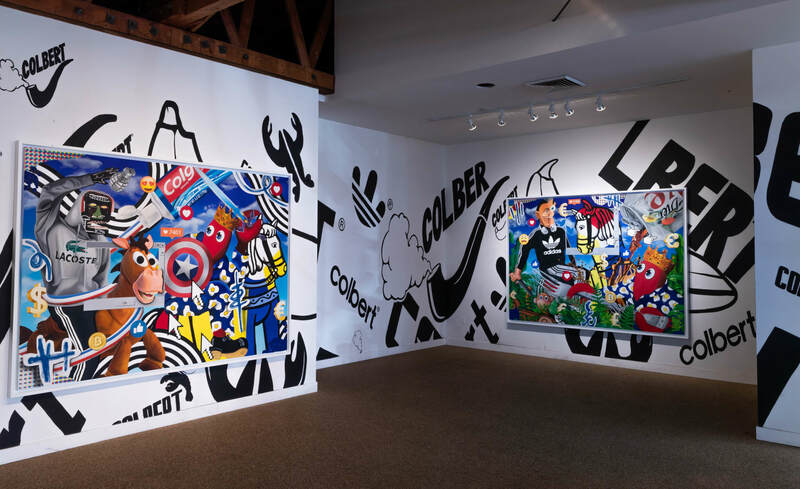 585 cm x 270 cm. 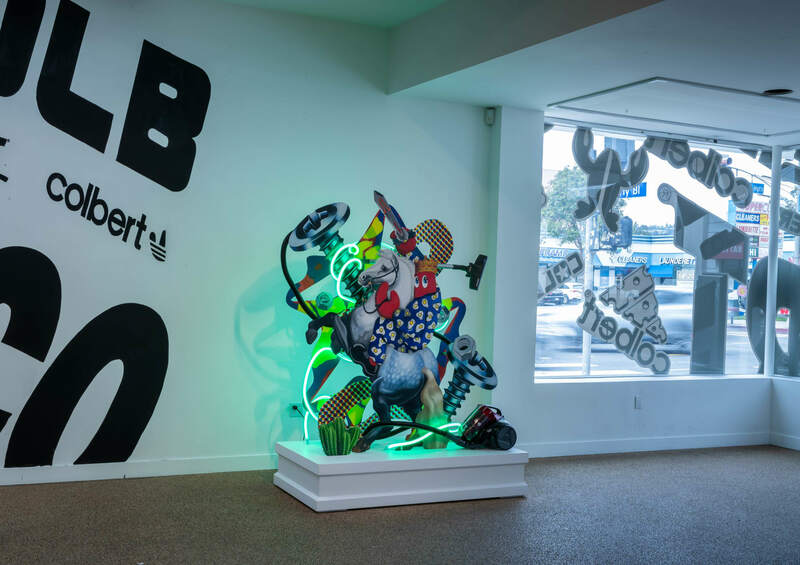 Paint on stainless steel, mixed media.